Delhi High Court Recruitment 2019: High Court of Delhi is going to fill up 31 vacancies in Delhi High Court. 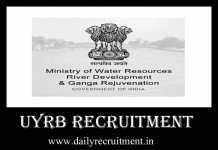 Recently it has released the recruitment advertisement for Administrator Officer/ Court Master & Private Secretary posts. It invites online application from young and professional candidates. Applicants who are seeking court jobs in Delhi government can use this chance. As per the DHC notification, these 31 vacancies are allocated for above said posts. Eligible candidates can apply to this recruitment from 30.03.2019. The last date for submission of online application is 15.05.2019 & 01.06.2019. Delhi High Court Recruitment apply link and notification is available in official website. Delhi Court will conduct Written Test/ Shorthand/ Typing Test/ Interview for selection of suitable aspirants. After that selected candidates will be appointed at Delhi High Court. Applicants must have possessed Graduate from recognized university. Aspirants should have attained the prescribed age limit and relaxation. Applicants should submit the application via online mode. More details of Delhi High Court jobs, upcoming vacancies, latest notification, merit list, admit card/ call letter, syllabus, result and etc. will be uploaded on official website. High Court of Delhi allocates overall 31 vacancies for this recruitment. Post wise vacancy details are given below. Applicants must have possessed Graduate from recognized university. Delhi Court will conduct Written Test/ Shorthand/ Typing Test/ Interview for selection of suitable aspirants. Applicants who have fulfilled the above eligibility, those candidates can able to apply for this job easily. Do not miss the wonderful career opportunity in Delhi High Court. Aspirants kindly watch this page regularly for upcoming changes in DHC job 2019. For more accurate information about this Delhi High Court job notification, check their official website. Delhi High Court Recruitment 2019: High Court of Delhi invites online application from young and professional candidates. It is going to fill up 73 vacancies in Delhi High Court. Recently it has released the recruitment advertisement for Senior Personal Assistant, Senior Judicial Translator & Judicial Translator posts. Applicants who are seeking Court Jobs in Delhi government can use this chance. As per the notification these 73 vacancies are allocated for above said posts. Eligible candidates can apply to this recruitment from 15.02.2019. The last date for submission of online application is 07.03.2019. Delhi High Court Recruitment apply link and notification is available in official website. Delhi Court will conduct Written Test/ English Shorthand Test/ Interview for selection of suitable aspirants. After that selected candidates will be appointed at Delhi High Court. Applicants must have possessed BA/ Graduate from recognized board or university. Aspirants should have attained the prescribed age limit and relaxation. Applicants should submit the application via online mode and make the payment through online mode. More details of Delhi High Court jobs, upcoming vacancies, latest notification, merit list, admit card/ call letter, syllabus, result and etc. will be uploaded on official website. You may visit delhihighcourt.nic.in website to get more details about this recruitment. Here you will get information like educational qualification, age limit, application mode, fee and how to apply. Keep check www.dailyrecruitment.in regularly to get latest updates. High Court of Delhi allocates overall 73 vacancies for this recruitment. Post wise vacancy details are given below. Applicants must have possessed BA/ Graduate from recognized board or university. Personal Assistant Posts: Age limit should be between 18 to 32 years. Translator Posts: Age limit should be between 18 to 27 years. Delhi Court will conduct Written Test/ English Shorthand Test/ Interview for selection of suitable aspirants. Applicants should submit the application via online. Rs.300 for Gen/ OBC candidates and Rs.150 for SC/ ST/ PWD candidates.